No one knows a city better than a hotel concierge. Here, the concierge team at Belfast's esteemed Merchant Hotel gives us their guide to Belfast, from Titanic to afternoon tea. 1. What local restaurant would you suggest to get a really good introduction to Northern Ireland's food? Belfast has become a real ‘foodie’ haven these days, with casual to high end dining and everything in between. One of the best places to visit is the Mourne Seafood Bar. A seafood lover’s paradise that also serves some serious steaks and surprisingly good vegetarian options. 2. Is there any etiquette around dining, tipping and service that I should definitely know before eating out in Belfast? The standard protocol for tipping is to offer 10% of the total bill if satisfied with the service. If particularly pleased, 12-15% will make your server’s night! 3. I only have 24 hours in the city. What three things are must-sees? Hmm… afternoon tea in the Merchant Hotel for one! It’s traditional, delicious and in an elegant setting. There’s Titanic Belfast, the largest Titanic exhibition in the world, and Black Cab tours of the city, which take in political murals and more, with knowledgeable, fun taxi drivers. 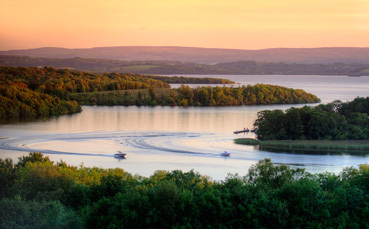 The largest is the Botanical Gardens – the Ulster Museum is also in the grounds – and is well worth a visit. The lawns at City Hall are a popular spot to catch some rays. Belfast City Bike Tours offers fun tours of the city where local guides show you sights only reachable by bike. They take place on weekends, visit 30 points of interest and the guides know the area inside out. 6. 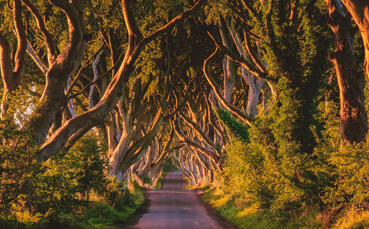 What are Belfast's hidden treasures, places the tourists don't normally see? You can get away from it all up in the Belfast mountains around Cave Hill, which was the inspiration for Jonathan Swift’s Gulliver’s Travels. The high-energy Gaelic games at Casement Park stadium are also phenomenal, or you could take a stroll along the Lagan Towpath with a coffee from the Lock Keepers’ Café. 7. Which old traditional pubs will give me a real sense of Belfast pub life? 8. What about authentic crafts and design. Where should I shop? Spacecraft in the Fountain Centre on College Street is a well-hidden gem crammed with local crafts, jewellery, clothes and more. 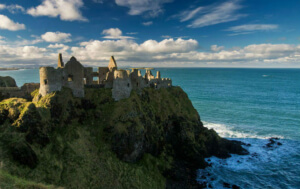 A trip up the North Coast to see the Giant’s Causeway, Dunluce Castle and the Carrick-a-Rede rope bridge – not to mention the world-class golfing there. Or perhaps the world-famous Mourne Mountains in County Down, Tollymore Forest Park and some quintessential seaside towns. 10. 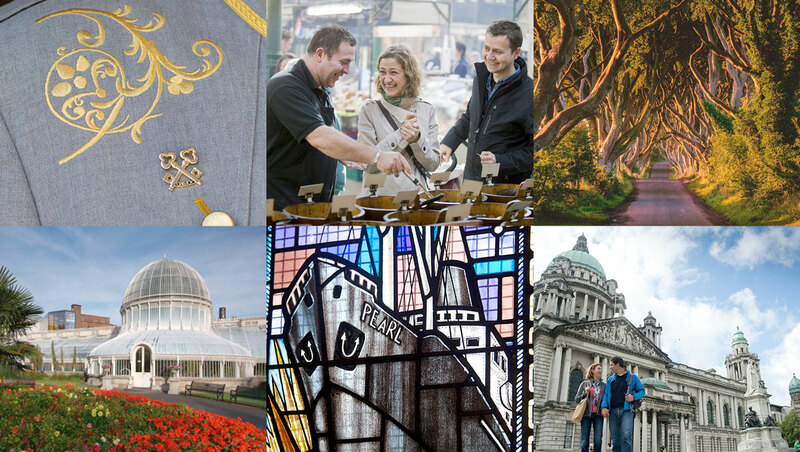 What is your own very favourite thing about Belfast? The people here are overwhelmingly friendly and love to share our vibrant little city with people from all four corners of the world! 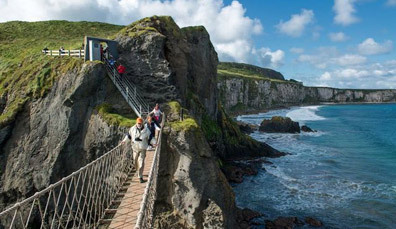 Ever walked in the footsteps of giants or across a sea-spanning rope bridge? You can here.